It's a health crisis not unique to Cleveland. According to the U.S. Department of Housing and Urban Development (HUD), 37 million homes and apartments, most in poor, urban areas subject to decades of housing discrimination, still contain some lead paint in walls and woodwork. Lack of funding - both to eliminate lead paint in homes and to test children and adults exposed to lead - is cited as the reason this problem remains largely unsolved. What efforts are underway to combat lead poisoning in Cleveland? What can we learn from successful programs in other cities? 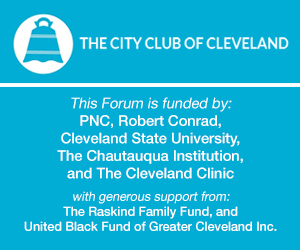 This conversation features leaders from across Ohio who share how to address lead poisoning in our urban centers. Robert Cole, Managing Attorney, Advocates for Basic Legal Equality, Inc. This conversation is moderated by WKYC news reporter Andrew Horansky.